West Bank is home to 771,000 registered refugees, around a quarter of whom live in 19 camps. Most of the others live in West Bank towns and villages. Some camps are located next to major towns and others are in rural areas. While the West Bank has the largest number of camps in UNRWA's five fields of operation, the largest camp, Balata, has a similar population as the smallest camp in Gaza. After the signing of the Oslo Accords in 1993 and subsequent related agreements, parts of the West Bank, including the refugee camps, were divided into three different zones of authority. Far’a and Nur Shams were initially in zone B, but following the implementation of the first phase of the 1998 Wye River Memorandum, they came under zone A, raising the total number of camps under full Palestinian Authority control to thirteen. UNRWA does not administer the camps, only its own installations and programmes. The West Bank camps are active social units. Camp residents run their own activities and committees in each camp are regarded as an official body representing the camp population. UNRWA sponsors a number of women's programme centres, community rehabilitation centres and youth activities in the camps to cater to the needs of women, refugees with disabilities and young people. Several Palestinian NGOs as well as Palestinian Authority ministries are active in the West Bank camps and provide various services to residents. Aida camp was established in 1950 between the towns of Bethlehem and Beit Jala. Like other West Bank camps, it was established on land UNRWA leased from the government of Jordan. The original refugees in Aida camp generally hailed from 17 villages in the western Jerusalem and western Hebron areas, including Walaja, Khirbet El Umur, Qabu, Ajjur, Allar, Deir Aban, Maliha, Ras Abu Ammar and Beit Nattif. Aida covers a small area of 0.71 square kilometres that has not grown significantly with the refugee population. As such, it faces severe overcrowding problems. In many cases, the UNRWA installations in Aida camp also provide services for the refugees in the nearby Beit Jibrin camp. The camp is fully linked to municipal electricity and water grids, but the sewage and water networks are poor. The camp came under special hardship during the second intifada, when the school sustained severe damage and 29 housing units were destroyed by Israeli military incursions. The unemployment rate is 43 per cent and is affected by the increased inaccessibility of the Israeli labour market. • One school for girls, operating in shifts. Boys attend schools in Beit Jala. • One food distribution centre. • There are no health centres in the camp, residents access health services in Dheisheh camp or Bethlehem. • One emergency physiotherapy unit. • One community-based rehabilitation centre. The Red Cross established Am’ari camp in 1949 within the municipal bounds of al-Bireh, providing tents to refugees from the cities of Lydd, Jaffa and Ramla, as well as from the villages of Beit Dajan, Deir Tarif, Abu Shoush, Nanaa, Sadoun Janzeh and Beit Naballa. Like other West Bank camps, Am’ari was established on land UNRWA leased from the government of Jordan. UNRWA took responsibility for the camp in 1950, constructing housing units with concrete ceilings. By 1957, UNRWA had replaced all tents with concrete shelters. Families of up to five people received one-room shelters, while families with more than five members received two-room shelters. Today, the camp covers 0.93 square kilometres, and less than half a metre separates most shelters. Ventilation in shelters is very poor. The camp is fully linked to municipal electricity and water grids. Following the redeployment of the Israeli army in 1995, the camp came under Palestinian Authority control. The unemployment rate stands at 27 per cent. The camp's football team has won the Palestine football championship several times and has been designated to represent Palestine in regional and international competitions. • Over 10,500 registered refugees. • Two schools. The girls’ elementary school operates in two shifts. • One emergency physiotherapy unit . • One women’s programme centre. Aqbat Jaber camp was established in 1948, 3km southwest of Jericho. Arroub camp was established in 1949, 15km south of Bethlehem. It is located on only 0.24 square kilometers. Like other West Bank camps, it was established on land UNRWA leased from the government of Jordan. The original inhabitants came from 33 villages in Ramleh, Hebron and Gaza. All shelters are connected to public water and electricity infrastructure. One in a hundred shelters is not connected to the public sewage network and, thus, has latrines that empty into cesspits. The camp is located on the main Hebron-Jerusalem road and Israeli military incursions occur sporadically. The unemployment rate is 30 per cent and is affected by the increased inaccessibility of the Israeli labour market. • Over 10,400 registered refugees. • Three schools. The boys’ school runs on a two-shift basis. • One UNRWA health centre, four other health centres. • One community-based rehabilitation centre (currently inactive). 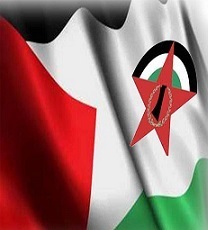 Askar camp was established in 1950 on 0.12 square kilometres within the municipal boundaries of Nablus. • Three schools. The girls’ school operates on a two-shift basis. • One UNRWA health centre, three other health centres. • One woman’s programme centre. • One educational development centre. Balata was established in 1950 and has become the largest West Bank camp in terms of inhabitants, with over 23,000 registered refugees. The camp’s 0.25 square kilometres lie within the municipal boundaries of Nablus. The refugees came from 60 villages and the cities of Lydd, Jaffa and Ramleh. Many are of Bedouin origin. Civil society and political actors in Balata are especially strong. The first West Bank group to defend refugee rights, the Refugee Committee to Defend Refugee Rights, was established in Balata in early 1994. The camp committee is one of the most active committees in the area. 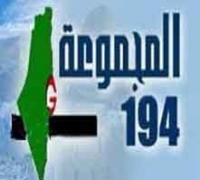 Three of its members serve on the Palestinian Legislative Council. The youth activities centre and the women's programme centre organise many activities as well. The camp fell under serious pressure from the Israeli army during the intifada. While all shelters are connected to public water and electricity infrastructure through the Nablus Municipality, there are serious water and sewerage network problems. In summer, distribution systems only work four days per week, and UNRWA’s local reservoir provides limited relief. A municipal improvement project recently seriously improved the camp’s roads. The unemployment rate is 25 per cent and is affected by the inaccessibility of the Israeli labour market. Beit Jibrin was established in 1950 in the heart of Bethlehem. It is the smallest West Bank camp, covering only 0.02 square kilometres. The camp’s original residents came from the destroyed village of Beit Jibrin, on the western hills of Hebron. The camp is also often called the Azzeh camp, since more than 60 per cent of the camp’s residents descend from the Azzeh family. Like other West Bank camps, it was established on land UNRWA leased from the government of Jordan. The camp's residents receive services from UNRWA installations in the nearby Aida refugee camp and the UNRWA sub-area office in Bethlehem. The UNRWA camp services office is also based in Aida camp. Following the Israeli army redeployment in 1995, the camp came under Palestinian Authority control. Camp No 1 was established in 1950 on 0.05 square kilometres alongside the main Nablus/Jenin road, within the municipal boundaries of Nablus. The original inhabitants of the camp came from the cities of Lydd, Jaffa and Haifa. Some residents are also of Bedouin origin. Since there was a water spring that provided for refugees’ water needs in the early days of the camp, it is also sometimes referred to as “Ein Beit el-Ma’” (“Spring of the House of Water”). Like other West Bank camps, the camp was established on land UNRWA leased from the government of Jordan. The camp faces very serious overcrowding issues. Shelters have 0.2 metres between them, on average, and streets are so cramped that there are no sidewalks in the camp. Space is so tight that bodies of the deceased are usually passed through windows from one shelter to another in order to reach the camp's main street during funerals. The unemployment rate is 25 per cent and is affected by the increased inaccessibility of the Israeli labour market. • Around 6,750 registered refugees. • One UNRWA health centre, one other. Deir 'Ammar camp was established in 1949 on 0.16 square kilometres 30km north-west of Ramallah. The camp was built on a plot of land belonging to non-refugee residents of Deir 'Ammar village. In return, UNRWA's installations in the camp also provide services to non-refugee villagers. The camp’s original inhabitants come from destroyed villages in the Ramleh, Jaffa and Lydd areas. While all shelters are connected to public water and electricity infrastructure, there is no sewerage system, and residents use latrines connected to percolation pits. A private septic tank collects the waste and dumps it in a wadi 3km from the camp, for a fee. Following the Oslo Agreements, the camp fell under joint Israeli-Palestinian control. The unemployment rate is 23 per cent and is affected by the increased inaccessibility of the Israeli labour market. Dheisheh camp was established in 1949 within the municipal boundaries of Bethlehem on 0.31 square kilometres.